No. The most important lesson for me as I learned to code was that I could be creative. I discovered I had the potential to do things that no one else had done before. Programming showed me that I could make my own stuff, the way I wanted to make it. 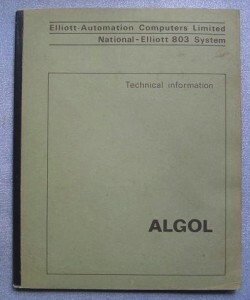 I learned this despite the fact that this was at a time when my program was punched onto teletype paper tape, brought on public transport to a London university computer five miles away, and run through an Elliott 803 one of the world’s first semiconductor-based computers. I got to run one program a week—if it had errors, I had to wait another week before I could fix it and try again. I still remember my first two programs. The first found all the prime numbers less than a thousand. A nerdy task that took several weeks to get right. I wrote, with a friend, a program that could play chess. That second program, of course, was never finished. Only being able to run it once a week, we didn’t get much further than code that knew the rules of chess and was able to make legal moves. But what a leap for a fifteen year-old British schoolboy—to have the freedom to choose an ambitious project that has occupied human minds for half a century now, only recently culminating in the computer Deep Blue’s defeat of World Chess Champion Kasparov in 1997. Today, it’s simple for children to work with inexpensive computers that can do far more, far easier, than the computers of my youth. The ability to create movies, graphics, sound, writing, and games are now at our fingertips. We know how to introduce children to the potential of these incredible machines far better than my teachers did. The immediate feedback, wonder, opportunity for self-expression, power to create—and, yes, learning how to think—are all available in the potential of this amazing device. Make algebra, geometry and calculus optional; teach programming to all children instead! This entry was posted on Monday, December 9th, 2013 at 6:25 am	and is filed under Learning. You can follow any responses to this entry through the RSS 2.0 feed.You can leave a response, or trackback from your own site.